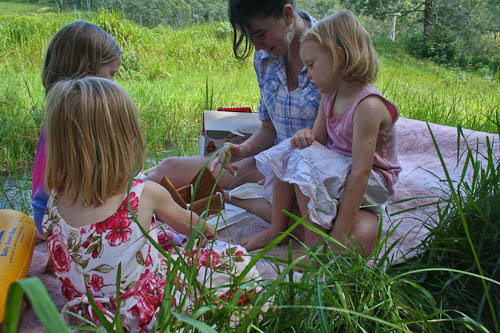 Just because we’re out in the bush doesn’t mean we can’t celebrate the end of 2010! Personally, we would have let the day pass by unnoticed, but sixteen-year-old Jess thought it was momentous enough to mark with special activities. I still had a couple gingerbread house kits from the ladies’ night I hosted at home. I intended on returning them to the store for a refund, but David suggested that Jess may like to decorate them for end-of-year fun. Before it got too hot, we got the kits out and started building. This was Jess's first gingerbread house. 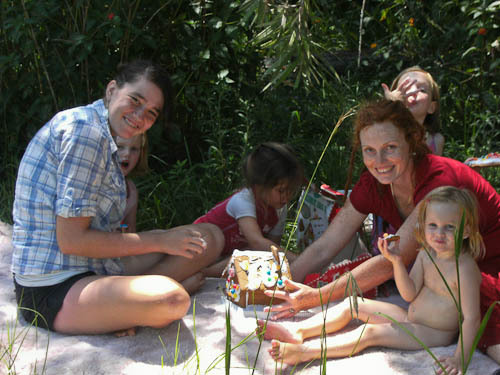 Jess loved the opportunity to decorate the house (while I tried to hold it together in the heat), and the girls each got to decorate and eat a little piece of gingerbread. 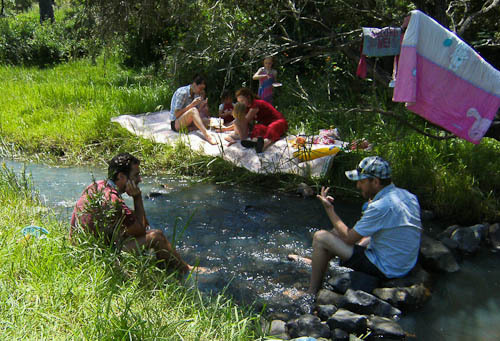 While we were working, the men were cooling off by half-sitting in the creek. 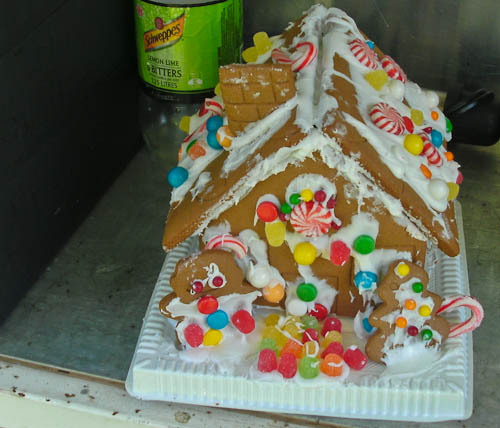 Jess's final decorating strategy was to place as many lollies on the house as possible. And it looks enticing! By the afternoon, the house had collapsed from the heat and we had all eaten our annual portion of sugar in a couple of hours. 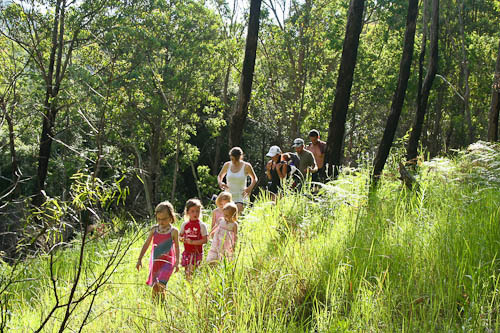 The best way to deal with all the extra energy was to take everyone on a bush trek. 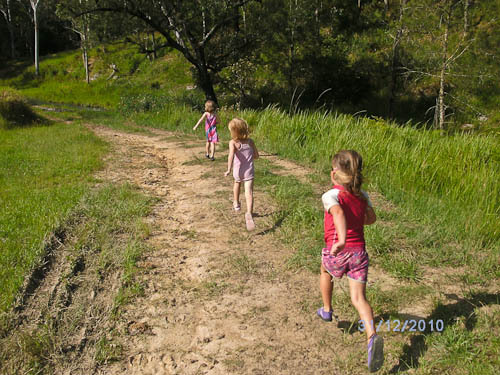 When we headed off on our walk through the bush, the kids were running. 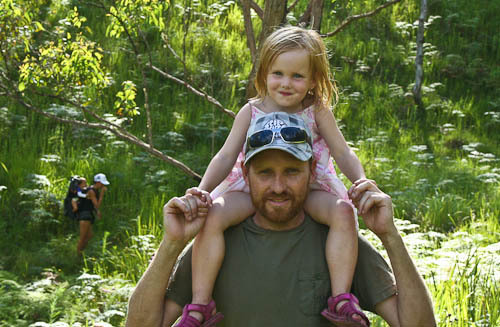 Calista sometimes hiked a ride on David's strong shoulders. It's so comfortable to carry Delaney on my back with the Ergo. Sometimes we followed cow trails through the grass. Other times we made our own path. 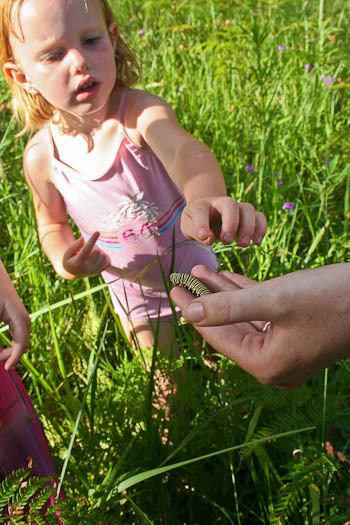 Once it was determined to be safe to pick up, we all had a feel of this beautiful caterpillar. 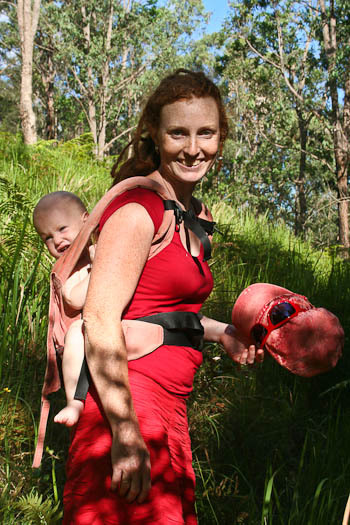 It's often easier to ask the girls to hold onto the baby carrier instead of my hands when I want us to walk single-file. 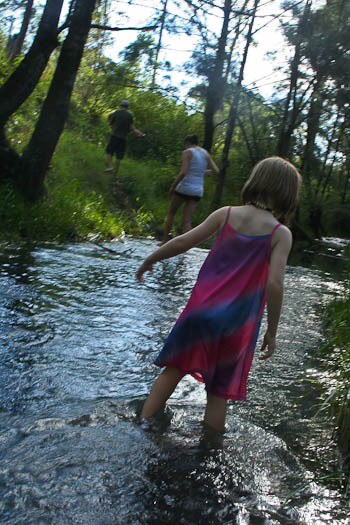 We had to wade back through the creek to find the track "home" to our campsite. 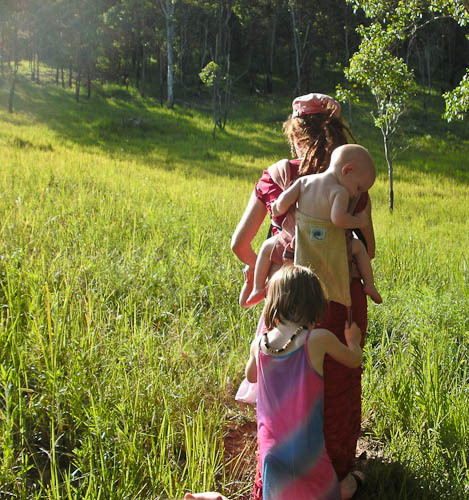 When the kids started to get tired of the walk, it was a good sign that they had burned off all their extra energy. We took them home, fed them but gave them one more special show before bed. 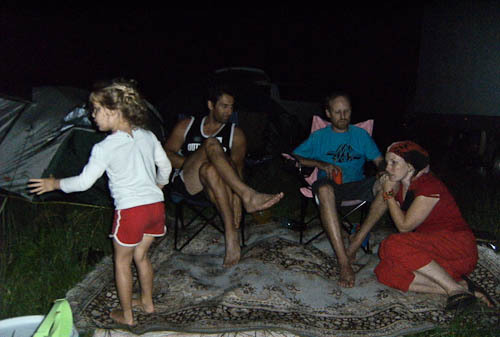 We enjoyed sitting around the campfire talking, and we stayed up very late every single night. 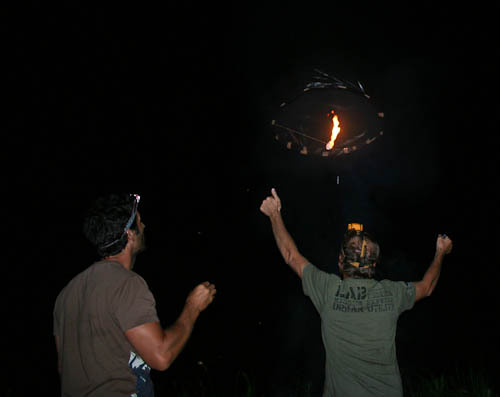 David and Jason made a hot-air balloon and released it into the night sky. The night was very still, and we watched it rise slowly and then drift until the fuel burned out. It was beautiful and fun — a great way to end the year. Some photos in this post were taken by Jess and Sarah. Thanks for sharing!